NEC has been a global leader in biometric authentication for more than thirty years. Now it brings together its superior technologies to create multi-modal identification solutions that hasten criminal investigations, eliminate guesswork and produce faster outcomes. No other personal identification system on earth compares with NEC’s suite of multi-modal biometric capture possibilities. 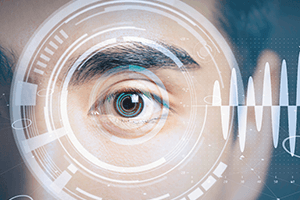 Merging face, fingerprint and voice authentication, NEC software is consistently ranked #1 for speed and accuracy by the National Institute of Standards and Technology (NIST) and offers advanced options such as credential reading, including driver’s license, barcode and encoded smart card data.